Hana Inuzuka is a kunoichi of Konohagakure, and a member of the Inuzuka Dog-user clan. 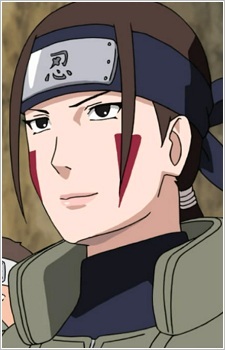 Hana is the daughter of Tsume Inuzuka, and the older sister of Kiba Inuzuka. She is an excellent and respected veterinarian. Her canine companions are a ninken triplet: the Three Haimaru Brothers. Hana is also noted to have a softer appearance than the other members of her family, not having extended canines or slit-like eyes, and her hair isn't wild, but tied into a ponytail with one hair bang on each side of her face.